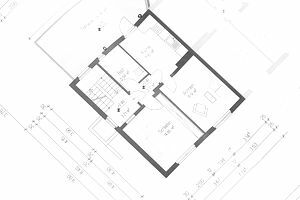 Construction blueprints, also called construction plans or drawings, are full of abbreviations and acronyms to save space and neaten the overall appearance of the presentation. Remembering all of this shorthand can be tricky, especially when this is added to the challenge of reading all the symbols and deciphering the conventions that might be used by a particular draftsperson or designer. Fortunately, many blueprint abbreviations have widely accepted meanings and are used in all sorts of blueprints, from framing plans to engineering drawings.